Also known as a cerebrovascular accident (CVA), a stroke is poor blood flow to the brain that results in cell death. It is dangerous when blood flow to the brain is obstructed. An obstruction can occur by way of a blood clot. Without oxygen, brain cells begin to die which can have serious implications on health ranging from disability to death. There are two main types of CVA, ischemic and hemorrhagic stroke. 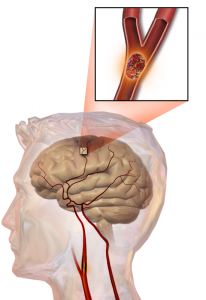 An ischemic stroke is most common, and occurs from lack of blood flow to the brain. In contrast, a hemorrhagic stroke occurs from bleeding into the brain. Bleeding can either create a blockage, or harm brain cells in areas where blood accumulates in the skull. This is a debilitating illness and has a serious impact on the way that people function and live. However, there are ways to minimize the risk factors and increase chances for recovery and survival. There are multiple, yet distinct symptoms of cerebrovascular accident (CVA). Symptoms range from paralysis and numbness to headache and impaired vision. Such symptoms are an indication of emergency and 911 must be contacted. Paralysis and numbness in the face, arm or leg typically present themselves on one side of the body. Headaches can be severe and sudden and cause bouts of dizziness or loss of consciousness. Whether the individual is experiencing transient ischemic attack (TIA) or cerebrovascular accident (CVA), quick assessment and diagnosis will lead to greater chances of survival and recovery. The diagnosis of a cerebrovascular accident (CVA) is clinical and is achieved by way of a neurological exam whereby the impairment caused by a stroke is objectively quantified according to a scale. One such test is the National Institute of Health Stroke Scale, or NIHSS. 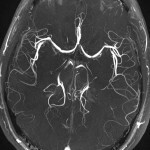 A diagnosis of CVA is often substantiated by imaging techniques that help to determine the type of stroke and its cause. 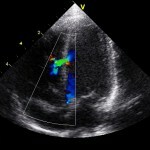 Such imaging techniques include, but are not limited to, CT and MRI scans, Doppler ultrasound, and arteriography. A physical examination is used to pinpoint the location of the stroke as well as evaluate its severity. Again, a patient is judged against a scale that quantifies the severity of stroke by allocating a numerical value anywhere from zero through to forty two, with the numbers indicating least to most severe, respectively. In addition to neurological examinations, imaging techniques and comprehensive physical tests a physician may also turn to blood testing. Blood testing is not effective insofar as the diagnosis of stroke is concerned, but it is immensely helpful in that it can point out the likely cause of a cerebrovascular accident (CVA), or stroke. As is the case with blood tests, many other studies may be conducted following the diagnosis of CVA to determine its underlying cause. This is significant in that it can tell a physician if there is a peripheral source of emboli. An ultrasound or Doppler study of the carotid arteries can be used to detect carotid artery stenosis. While an electrocardiogram (ECG), or echo-cardiogram, can be used to identify arrhythmiaâ€™s and clots in the heart. Age, ethnicity, gender and family history are allÂ risk factors that cannot be controlled,Â but other risk factors such as tobacco smoking, high blood pressure, high cholesterol, carotid artery stenosis, and diabetes can be managed to reduce the risk of cerebrovascular accident (CVA). High blood pressure, also known as hypertensionoccurs when your heart has to work harder to pump blood through your blood vessels. Consequently, pressure is exerted on the arteries. Hypertension can be managed with a healthy diet and active lifestyle. High cholesterolis an elevated level of low â€œ density lipoprotein (LDL) in the blood, and is a catalyst for the buildup of plaque along the walls of arteries. Plaque along the walls of arteries narrows blood vessels, this process is known as atherosclerosis, and it impedes blood circulation. Carotid artery stenosisis a condition wherein the carotid artery is narrowed by plaque. Carotid artery stenosis is exacerbated by high cholesterol, and is dangerous if plaque becomes free â€œ floating as it can create blockages in the arteries around the brain. Certain conditions such as diabetes and atrial fibrillation (A- fib) are significant risk factors for a cerebrovascular accident (CVA). Diabetes is a risk factor for CVA, increasing the risk of stroke threefold, because it adversely affects blood pressure, and increases the prevalence of atherosclerosis, coronary artery disease, and other related heart conditions. Atrial fibrillation is a heart arrhythmia, or irregular heartbeat that increases the instance of heart disease and abnormal clotting. This leads to blockages in blood vessels. These blockages can be dangerous, especially for people in poor health and the elderly.Effective management of A-fib includes regular examinations and a prescribed plan for treatment. 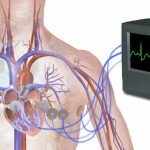 Treatment includes prescribed medications, synchronized electrical cardio-version, and surgical catheter â€œ based ablation. The treatment a doctor provides depends on whether the cause of a cerebrovascular accident (CVA) is obstructed blood flow, from a blockage in a blood vessel, or bleeding into the brain. The end goal in treating an ischemic stroke is to restore blood flow to the brain as soon as possible. A doctor will administer clot-busting medications or blood thinner medications like aspirin. Patients who have experienced an ischemic stroke or transient ischemic attack (TIA), and want to avoid another, may be treated with blood thinner medication like Aggrenox. Doctors may remove the blood clot manually, or administer medication directly to the brain by way of a catheter. In addition to aspirin and Aggrenox, sufferers of atrial fibrillation (A-fib) may also be treated with Xarelto. Surgical treatments to either widen a narrowed artery, or manually remove plaque may also be used to mitigate the risks of ischemic stroke. One such treatment is known as a carotid endarterectomy, a surgical procedure whereby plaque is removed manually from the carotid arteries. This procedure is effective in the lessening of risk of a cerebrovascular accident (CVA). Angioplasty and stents also enable doctors to reduce the risk of cerebrovascular accident (CVA), or stroke. Using a catheter, a surgeon will gain access to the carotid artery through the groin. A balloon at the end of the catheter is inflated to widen the narrowed artery. Afterward, a stent is inserted to support the widened artery. In instances where there is bleeding into the brain, hemorrhagic stroke, a doctor’s main priority is to control bleeding and reduce pressure on the brain, all the while seeking to repair the damaged blood vessel. Patients have varied experiences with recovery and rehabilitation. Depending on the extent of damage to the brain, disabilities can be physical, mental or emotional. This illness can be overwhelming, but there are a variety of strategies and programs to help affected individuals and their families cope throughout the rehabilitation and recovery process. Patients who have undergone a cerebrovascular accident (CVA) may have difficulty communicating and eating as well as problems with mobility and balance. There may also be changes in cognitive function such as behavior, thinking, memory, emotions and moods. These changes are frustrating, but can be overcome with dedication to a recovery program. It helps to receive support from family and friends, as well as a specialized support group. It’s important to remain positive and to allow time for rest. Understanding the risk factors associated with cerebrovascular accident (CVA), is the key to prevention. As such, it is essential to support any medical program with a healthy and active lifestyle. Regular physical activity is important insofar as it ensures great heart health and overall well-being. Physical activity is not only beneficial for stress and weight management, but can also lower cholesterol and control diabetes.